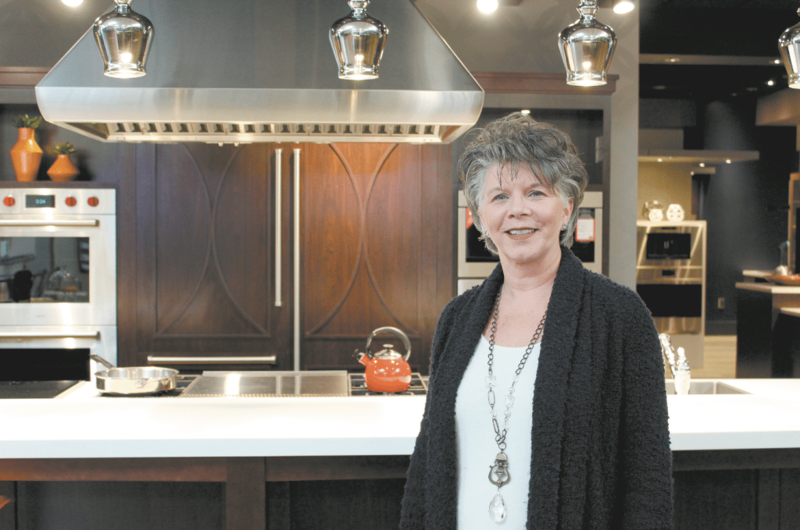 Mindy Stokes is a salesperson for AllSouth Appliance in Homewood. Before her 10-year tenure in appliance sales, she worked in the industry in roles including instructor at The Viking Cooking School in Franklin, Tennessee, and a demo representative for the German appliance company Miele. Journal photo by Emily Williams. For some, the kitchen is the most important room in the house. Other people don’t care as much. But it cannot be denied that the kitchen is at the heart of technological advances being made in homebuilding today. If technology is supposed to make our lives easier, what could be better than coming home to a fully cooked meal, prepared by the simple touch of a few buttons on your cell phone? We aren’t quite there yet but, according to appliance expert Mindy Stokes, we are well on our way. Stokes is a salesperson for AllSouth Appliance in Homewood. Before her 10-year tenure in appliance sales, she worked in the industry in roles including instructor at The Viking Cooking School in Franklin, Tennessee, and a demo representative for the German appliance company Miele. Equipped with a discerning eye, Stokes has found many products that live up to their promises and offer smart technology features to ease the lives of homeowners. The trend is moving toward making cooking as hands-free as possible, most notably through the growing number of Wi-Fi connectable appliances that can be managed from a smartphone. “With your oven, you can preheat it from your phone while you’re out and there are fridges with cameras that you can access from your phone to see what you need while you are out shopping. There is virtually no planning on your part. You don’t need to think before you do anything,” Stokes said. 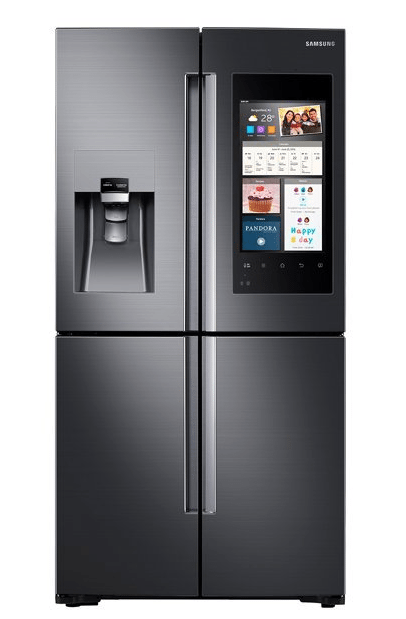 This Samsung 4-Door Flex Refrigerator features the Family Hub, which displays calendars, allows users to search through recipes and can even be used as a television. Photo courtesy of AllSouth. Not only are Wi-Fi-adaptable ovens on the market, but Stokes sees potential in a new product offered by a few vendors – an oven that promises to be two-in-one. With a divider in the middle that presses against the oven door when closed, the top portion can be set to one temperature and the bottom portion to another. 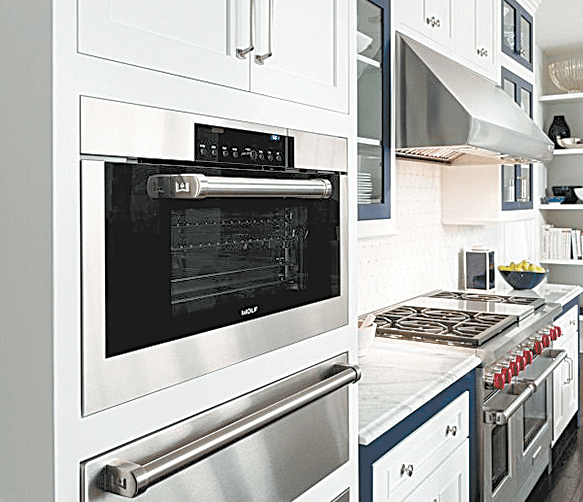 Stokes sees it as a great space-saver for homeowners who don’t have room for two full-size ovens. “Refrigerators are also getting more versatile as far as cooling,” she said. Much like the dual oven, Samsung has a fridge on the market that houses two separate freezer compartments that can be set to different temperatures. The appliance has a larger French-door refrigerator above and then a set of French doors below for the dual freezers. For refrigerators, it doesn’t stop there. Smart technology abounds with a Samsung model that comes equipped with a screen on the door and cameras inside. If you don’t feel like trekking to the grocery store for a few ingredients you need for a specific recipe, your fridge can generate a list of recipes you can make with what you have. Not only that, it has a calendar feature that remembers your schedule and a weather update, and some even connect to your cable so you can watch TV. In addition, Stokes noted that many manufacturers are using Bluetooth and Wi-Fi connectivity to pair with Amazon Alexa and Google Assistant devices. When at home, you can tell your assistant device to change the oven temperature, and the assistant will tell the oven. With booming technological advances, Stokes notes that many newer features have become standard. Another industry standard for energy efficiency has been around a little while longer than many may think. According to Stokes, politics is present even in the world of appliances, especially regarding the environment. 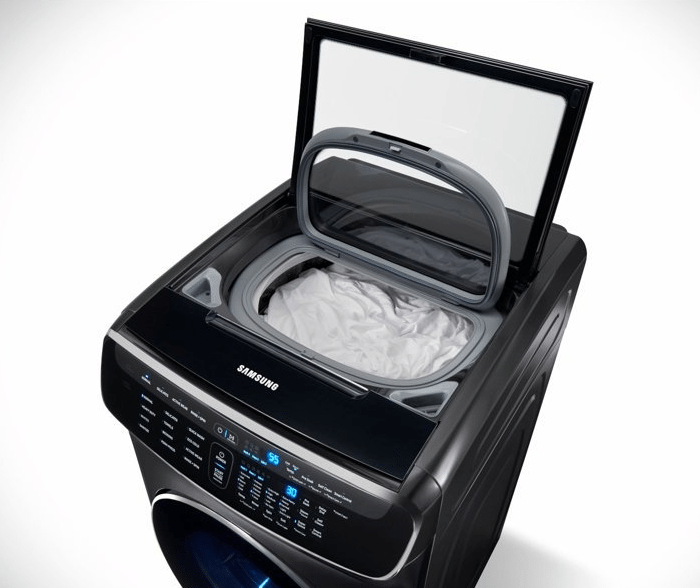 The Samsung FlexWash washer includes a large capacity front-load washer along with a smaller top-load washer which can be connected to your smartphone so you can checkup on your load status and schedule your next cycle. Top loading washers were forced to use less water and remove their agitators, which resulted in white streaks on the clothing at the end of a cycle. To combat this, many top loading washers have settings compliant with EPA standards and “deep wash” settings to combat streaking. Today’s laundry market finds a variety of top and front-loading washers, and some that have both. Samsung is at the forefront of technology with its new FlexWash and FlexDry appliances, she said. Both can be connected to your phone, on which you can schedule and monitor cycles and receive an alert when a cycle is complete. The washer has a front-loading higher-capacity washer, a top-loading section for small loads, and a steam setting that promises to remove stains without needing to pretreat the fabric. The dryer incorporates a large capacity front load tumble dryer with steam technology and a top-loading delicate dryer for a faster alternative to rack drying. With all of this new tech taking the weight of many everyday chores off of the homeowner, what will the future look like in the kitchen? According to Stokes, it will be nothing short of what was depicted decades ago on The Jetsons. The Wolf steam oven will not only cook meat to perfection, you can enter in what time you want the food ready and what temperature you would like it to be; the oven will do the rest. Instead of simply managing your appliances from your phone, Stokes expects to see more appliances that think for their owners, and she’s seen that in her own steam oven at home. “For Christmas, I cooked a beef tenderloin, which is a pretty expensive cut of beef; and I told it what temperature I wanted and tried to punch in 2:30 and it told me that it wouldn’t be done until 2:38. It knows how long it takes to get to that temperature and can override you,” she said. Though GE is introducing an oven that cooks quickly with halogen, Stokes prefers to put her seal of approval on steam-cooking technology. With her background as a cooking instructor, she noted that she has never seen a more perfect bake on a cheesecake or tasted a better piece of leftover pizza than from the steam oven. Though there is a trend away from cooking, Stokes said the kitchen still is the room in the home where she sees customers spend most of their budget.